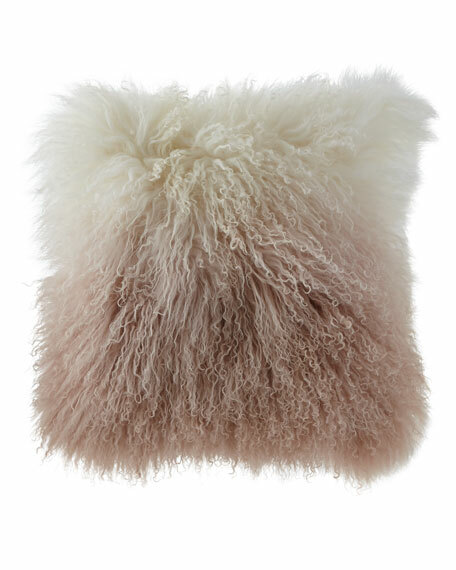 Michael AramDip Dye Curly Sheepskin Pillow, 18"Sq. Curly dyed sheepskin (China) pillow. Exploring the depths of color, the Dip Dye collection is reminiscent of the natural beauty of colors changing in nature over time. The natural ombré effect is an organic and artful touch to any décor. A dip dye ombré effect on curly sheepskin invites textural luxury to your room.